I hope you’re refreshed from the thrilling last game. This game could go down to the final seconds like the last game did. I’m not sure if I can take that. Let’s hope it doesn’t. Here are three things that are the Packer’s keys to the game. Dom Capers vs. Cam Newton- So far this season Capers has done enough to win. Being that Cam Newton ran for over one-hundred yards against a good Cincinnati defense. Capers has to find a way to stop Cam or it’s going to track meet out there. Eddie Lacy vs. Carolina’s defense- The Panthers run defense is one of the worst in the NFL . 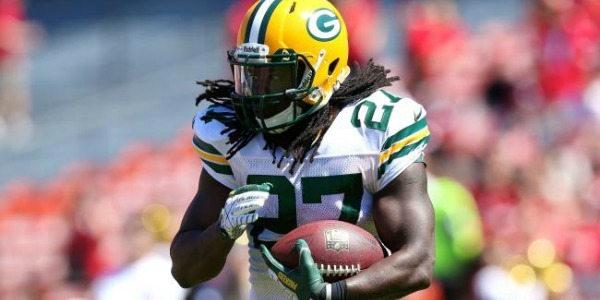 Lacy needs to pick up his game otherwise when we need him it will be to late. Secondary- Shields is out, Williams is near coming back. Without Shields and possibly Williams this will be interesting. Hayward and House, sounds like a law firm. have to play hard and be focused. Cam Newton is a good passer and if he gets hot early he’s tough to beat. The Packers gained a lot of confidence with their win over Miami. I believe this should help them win this game. Packers 31-23 Panthers.